Burlingame Therapist: Sean Faulkner - Therapist 94010. Session Fees: Fees are determined via a sliding scale, ranging from $60 to $150. 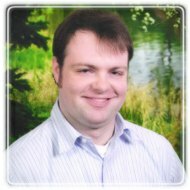 Sean Faulkner is a Licensed Marriage & Family Therapist #105355. Sean specializes in working with adult individuals, children, and couples. He offers counseling for individuals, couples, children, adolescents, and families facing issues of depression, anxiety, relationships, life transitions, self-esteem, personal growth, motivation, and family dynamics. Sean has worked extensively with individuals with intellectual disabilities and their family members. Sean also previously worked as an MFT intern at a K-8 Catholic school in San Francisco for three years through the USF Center for Child and Family Development's School-Based Program. Prior to pursuing his Masters, Sean received his Bachelors in Psychology from Sonoma State University. Sean worked with the Collaborative Autism Training and Support (CATS) Program in Sonoma County, helping create a collection of informational DVDs for parents and professionals. To view my informed consent, please click here. You may verify my professional status using by clicking "Verify a License" at this link and choosing "Search by Personal or Business Name" and entering my name. "A Day in the Life of a School-Based Family Therapist" in the book "School-Based Family Counseling: Transforming Family-School Relationships"